WOW! What a fantastic henna conference! Henna University 2014: Bridal Boot Camp was a raging success full of amazing people and great times. I can't say enough great things about Neeta Sharma, Mehndi Designer. As a teacher, a henna artist, and a person, she is positively spectacular! Neeta, one of the premier bridal artists in the world, taught 5 intense hands-on classes. With a focus on using a few basic shapes per henna design, she made complicated bridal mehndi approachable for anyone. Even new artists shared with me how much more comfortable they were with creating cohesive henna designs. Having just returned from India, where Neeta studied Gulf-style henna, she shared the current trends in Indo-Arabic bridal. We even examined bridal trends for the past 10 years and discussed what we liked and why. Being the host of Henna U, I was lucky enough to get an arm full of bridal henna from Neeta in a an Indo-Gulf (Mumbai) style fusion. Others at the conference received lovely sangeet-style henna pieces by Neeta. We were also treated to a class about adding bling to henna designs by Ena Rodriguez of The Henna Studio, here in Orlando. In addition to learning some history about body art, we actually mixed our own gilding paste during this class. Ena had a nice selection of glitters, powders, and gems for us to decorate our henna! Our very own Asad, of Beachcombers, taught an accounting basics class. Contrary to the subject matter, this was one of the classes with the most laughter and fun! Add to that...the students! What an incredible group of women! I suppose Mary and Courtney in any room is a good thing, but we really had an amazing group. We had professional artists and people that were picking up a henna cone for the very first time. Facebook IDs and phone numbers were exchanged and I think I'll be seeing many of the same faces next year, just as an excuse to hang out again! 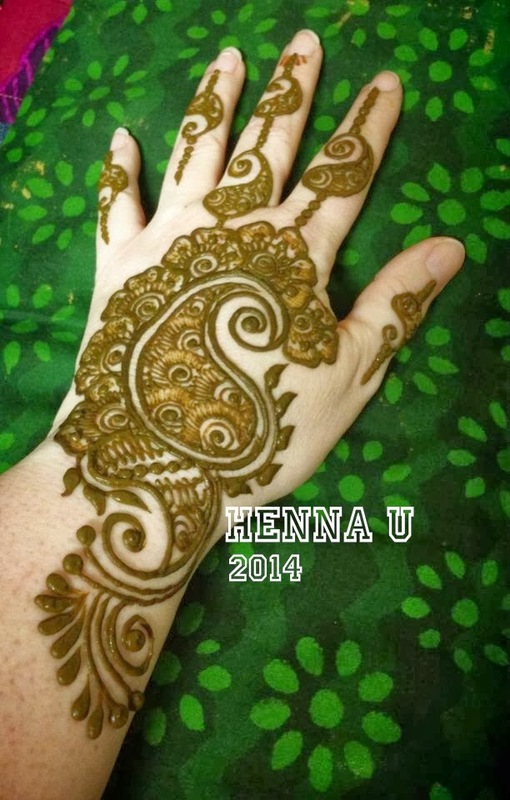 We'll be hard pressed to top Henna University 2014, next year. I'll be keeping my eyes open for a teacher that is up the the high standards that Neeta has set. As always, the theme of Henna U 2015 will depend on the guest teacher we secure. It's a whole year away, but while you wait, we'll continue to have Henna U extension classes and labs to learn different henna techniques. I'll also be releasing a new henna design eBook by Neeta Sharma soon! Learn more about henna at the free Henna Learning Center.